We're always on call, no matter the day or time. At Guardian Pharmacy of Birmingham, formerly Southern Pharmaceutical Services, our business philosophy is to partner with you to provide enhanced pharmacy care. By thoughtfully listening to our customers, our goal is to develop innovative and collaborative solutions. 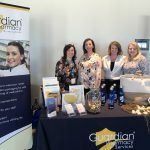 Guardian Pharmacy of Birmingham recently participated in the 2019 Spring Conference for the Assisted Living Association of Alabama.